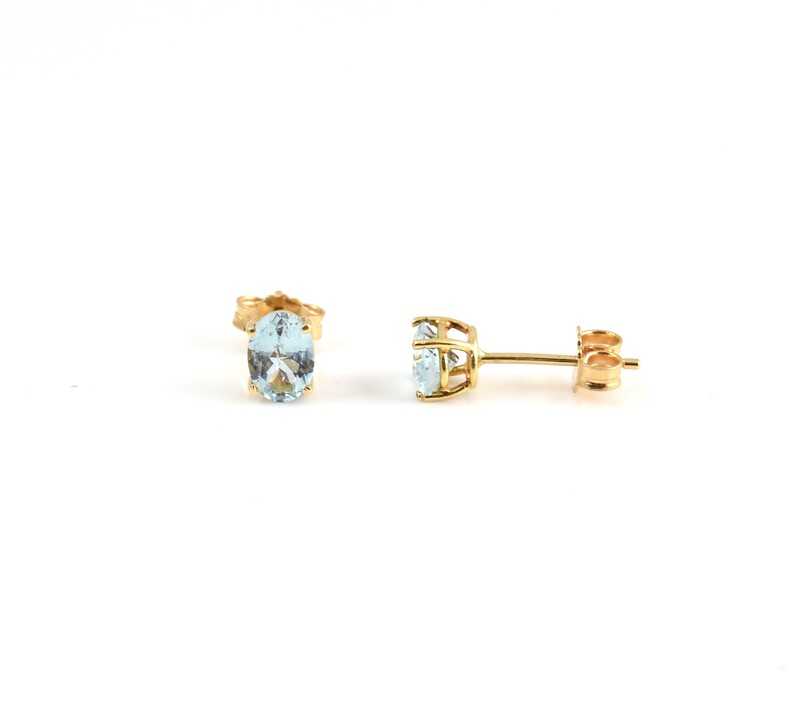 A pair of 18ct yellow gold Aquamarine stud earrings. Featuring two oval aquamarines measuring 6.5 mm x 4.9 mm, four claw set into a classic stud. 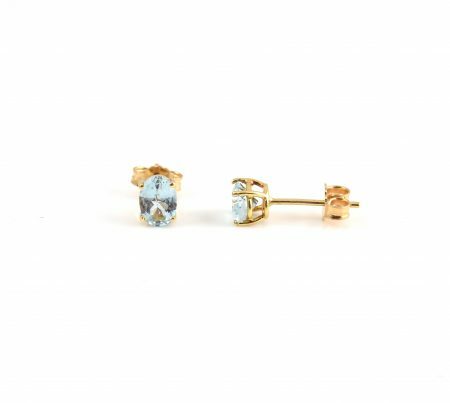 Looking for aquamarine jewellery? View our collection here.